In no particular order, we have assembled a rough guide of training providers with whom you can advance your hill skillz. We strongly recommend you seek and hone your understanding of snow stability, rescue and first aid, weather patterns and technical requirements of accessing backcountry terrain. Dave and Pieta Herring have formed Alpine Access Aust in response to the fast-growing interest in backcountry touring in the Australian Snowy Mountains, and the demand for avalanche skills education from Australian skiers and boarders. Formerly of Main Range Backcountry, and with many years of skiing and backcountry touring experience in Australia, Japan and North America, Dave and Pieta are keen to keep sharing their skills and knowledge with others. AVALANCHE TRAINING - Avalanche Canada AST 1 / 2 - SKI & SPLIT BOARD GUIDES / ALPINE - WILDERNESS FIRST AID / SKI MOUNTAINEERING / SNOW CAMPING / Youth Program / BAckcountry Intro / Women in the Backcountry AST1 . In Australia we are privileged to have some of the world's finest opportunities for winter backcountry exploration, but with this right to explore comes a responsibility—to yourself, your friends and your family to get avalanche training. Know More. Go Farther. Time to chill out in the high country with the best the mountains can offer you, with a highly experienced guide and on the 'good gear', alpine touring or telemark skis. Bring or hire your gear (boots, skis, poles, skins). K7 Adventures will take you on half day or day trips ski touring or enjoy some back country steep chutes not far from the main resort areas. MountainSafe is designed to cater for the growing number of people venturing into the backcountry. MountainSafe offers snow safety and backcountry awareness programs to ensure skiers and snowboarders ride safe and have fun in off-piste terrain. Delivered in collaboration with ski patrol and some of the world’s best winter sport athletes, the 3.5 hour session will include in-class and on-snow training. At Whiteroom, we are passionate about backcountry skiing & riding, it’s our business. We are also passionate about empowering backcountry enthusiasts to make informed decisions. That is why we offer certified Avalanche New Zealand accredited Avalanche Training courses in Australia. This winter, enjoy an exciting day out in the mountains off the beaten path! 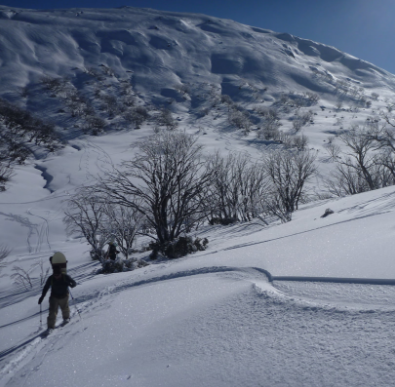 From exploring the best of what the Australian backcountry has to offer on skis or board to experiencing the raw natural beauty of the Australian Main Range on snowshoes, there’s an adventure for everyone.